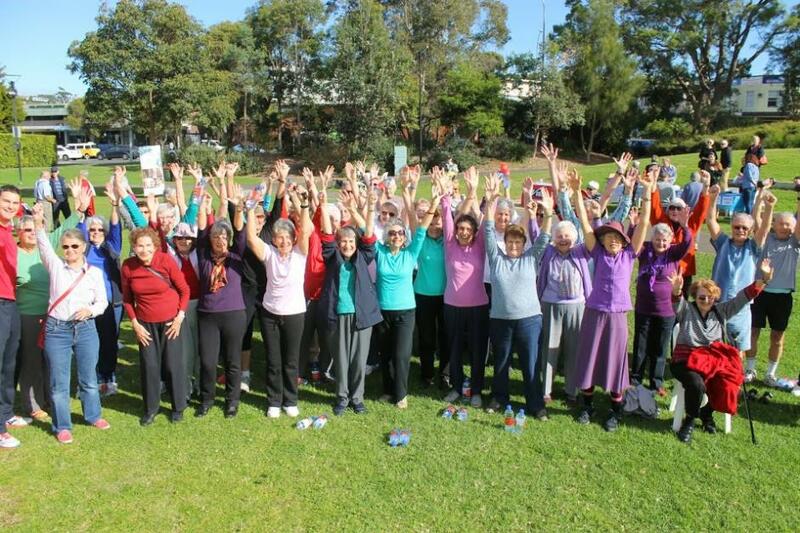 BIG seniors exercise class available as part of Pittwater Council's Month Long Senior's Week Activities 2015. Pittwater seniors will have a host of fun, educational and active events to participate in during Seniors Week and all through March. Mayor Jacqueline Townsend said Seniors Week was a chance for older people in our community to get involved in activities they wouldn’t otherwise try. “It’s also a chance for us to recognise the contribution that seniors make to our community. A contribution that we at Pittwater Council value and appreciate,” Cr Townsend added. Whilst Seniors Week officially runs from 14 – 22 March, Pittwater Council’s program extends activities throughout the entire month of March. There’s a full schedule of events ranging from legal and financial advice, art, health and wellbeing, entertainment and more. Other local groups are offering everything from computer courses to forward planning sessions, dancing to historical talks and from a guided Pittwater Artists Trail tour to exercise classes. There’s literally something for everyone! Cr Townsend praised our community, saying we were fortunate in Pittwater to have so many interest groups, organisations and local businesses that have contributed to the 2015 Seniors Week program. For more information about Seniors Week in Pittwater call 9970 1169. On behalf of Pittwater Council, I’d like to welcome you to another Seniors Week in Pittwater. The theme for NSW Seniors Week 2015 is “Be Inspired”. This theme encourages involvement, enthusiasm, creativity, and self-expression of seniors in their community. You can take part in Seniors Week by attending one or more of the events being run in your local area. Although Seniors Week officially runs from Saturday 14 March until Sunday 22 March, Pittwater Council has a month’s worth of wonderful activities to participate in. Seniors Week is not only a chance for you to take part in an array of activities, but also it is a chance for us to recognise the contribution seniors make to our community. A contribution that we at Pittwater Council value and appreciate. Pittwater has connected with local groups and services so you can become more involved and get to know others in your community. Inside this program you’ll find a full schedule of events that will be on offer during the month of March. For example, Avalon Active Seniors are running a landscape art workshop offering you and your friends a chance to try them out free-of-charge during Seniors Week. Other local groups are offering everything from computer courses to forward planning sessions, from dancing to historical talks and from a guided Pittwater Artists Trail tour to exercise classes! We are very fortunate in Pittwater to have so many interest groups, organisations and local businesses that have contributed to the 2015 Seniors Week program. I’m sure you will enjoy the range of events offered this year. Welcome and have a seriously good time during Seniors Week 2015. U3A: Each session provides stimulating presentations by different speakers. Enjoy gourmet morning tea, invigorating discussion and excellent social interaction. Mona Vale Library: Come and learn how to download eBooks onto your device. Mona Vale Library: Come and learn how to use Internet Explorer, search engines, and navigating your way around the web. Learn about the fascinating history of the Basin, the early inhabitants, the elaborate series of terraces and the historic Beechwood cottage. Local historian James Macken will be joining us and sharing his considerable knowledge. Bring a picnic lunch and enjoy the surroundings. Pittwater Council Coastal Environment Centre: Come and join us for a morning walk through the amazing Warriewood Wetlands. Our local wetlands are a unique environment supporting a great diversity of native animals. This walk is an exciting journey looking for some of our native animals and looking at their habitat. The walk is an easy grade along board walks. Pittwater Village and Col Crawford Nissan: Col Crawford Nissan is proud to join with Pittwater Village, it’s residents and the wider community over morning tea, to present smart and simple tips on maintaining your vehicle’s safety and performance. This workshop will be entertaining, with plenty of fun facts. Nissan’s new Pulsar Sedan will also be displayed. U3A: We continue to unearth filmic gems from the Golden Age. Hollywood, London and a few other areas provide our source material. The period covered is to around 1950. All programs are carefully researched, introduced, and course notes provided for each session. Meets alternate Wednesdays till 13 May 2015. Age Assist and GHR Accounting Group: Having sufficient funds for retirement, receiving care at home or having to move to a residential care facility are things we are often not clear about. Join us for a session where we will discuss the benefits of retirement planning, talk about home and residential care options, access to care services and the related financial costs of care. Plan Life: Want to know how and why you can enjoy a profitable and stress-free downsize? Come and join our Plan Life seminar with our two experts in their field: Belinda Grundy, author of Rightsize Your Home, and Jenny Simmonds from Retire by Design and guest writer for Rightsize Your Home. They will discuss the “how and why” in five succinct steps. Each session is 50 minutes and the speakers will be available for one-to-one discussions after the session. Community Connect Northern Beaches: Retirement, Hostel & Nursing Home Accommodation A representative from the NSW Trustee and Guardian will speak about wills, appointing an Executor, Power of Attorney and Guardianship. A representative from a local hostel and nursing home facility in Pittwater will talk about residential care options and access. An aged care specialist will talk about financial matters. U3A: A showcase of the courses being offered by Northern Beaches U3A over the coming months. An opportunity to join U3A, talk to the presenters and register for individual courses. Wanderers Walking Group: Ferry ride from Manly to Circular Quay, then to Valentia St Wharf, Woolwich. Walk through Morts Dock on the Hunters Hill Peninsula, along to the natural bushland of Kelly’s Bush and around the beautiful harbour foreshores. Healthy Lifestyle: This program uses adjustable free weights and your own body weight to improve muscle strength. Recommended for those with osteoporosis. Wear loose comfortable clothing and bring water. Healthy Lifestyle: Easy pace classes are ideal for those new to exercise or getting back into it. Exercises are low intensity with minimal choreography. Wear loose comfortable clothing and non slip exercise shoes. Bring water. Exercise Over 55’s: Exercise Over 55’s run community based exercise classes for people over the age of 55. The strength training class is for those who suffer from osteopenia or osteoporosis and is suitable for anyone who hasn’t exercised in a while. Lifeball: Add years to life and life to years by joining a Lifeball group. Come, watch, then join in the game of Lifeball. Lifeball is an exciting team game designed for fun, fitness & friendship. Played at walking pace, the game of Lifeball encourages physical movement, great team spirit and social interaction. 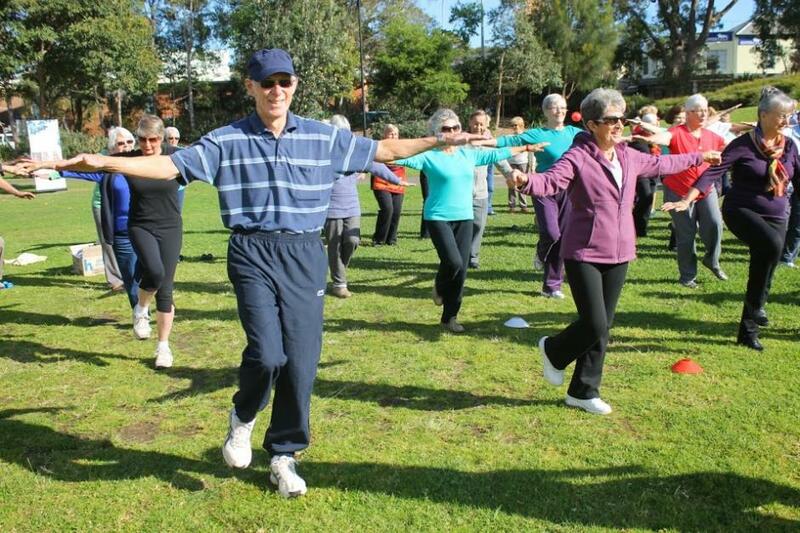 Community Care Northern Beaches: FREE Exercise Class for participants over 70. Come and help us set a world record for the largest exercise class for participants over the age of 70! We will also have ‘jumbo’ games, market stalls and morning tea provided (gold coin donation). HealthSpace: Falls are a major problem. They are a significant cause of injury in older adults and make life very difficult for those who have experienced a fall. Studies have investigated how manual therapists may influence the risk of falls. Learn the importance of sensorimotor functions. Community Care Northern Beaches: The Family and Friends evening is held in partnership with Alzheimer’s Australia NSW. This event is an information and education session for family and friends of people with dementia/memory loss. The event is free and supper is provided. COTA New South Wales: Home care has changed. Learn how to make the most of these changes. Older people now have more choice and control over the services they receive and how they are delivered. Free information session, which is interactive and provides information to take with you. Afternoon tea provided. Lesson in Painting: Landscapes - Monday 16 March 2015 10am-12pm or 12.30pm-2.